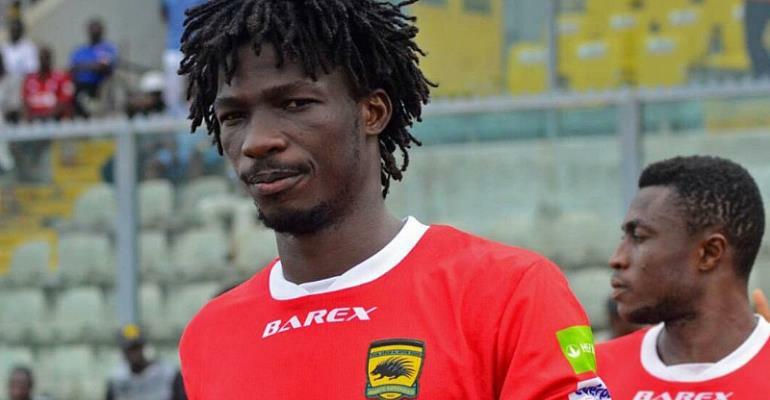 The Chief Executive Officer of Asante Kotoko, George Amoako has insisted that the club will continue to reap results without Songne Yacouba. The Porcupine Warriors have officially opened negotiations with Zambian giants ZESCO United who are willing to take the former Stade Malian striker to the Levy Mwanawasa Stadium in Ndola following his exploits in the CAF Confederation Cup. On Monday, the Ghana Premier League side tweeted that it had agreed to open negotiations with Zesco United for the services of winger Emmanuel Gyamfi and Songne Yacouba. However, the astute football administrator stressed that there is no player bigger than the former African champions hence no need for the fans to panic about Yacouba’s likely departure. “Yacouba wasn’t the Yacouba we see today before signing for Kotoko and no club was even willing to sign him but he became who he is today when he was imparted by the spirit of Kotoko. ‘’So Yacouba or no Yacouba, Kotoko is still Kotoko and that’s why I am urging the fans to come and cheer the team and will get another Yacouba in no time.” the experienced administrator concluded. Asante Kotoko who are on top of the NC Special Cup in Zone A will face Regional rivals Ashgold at the Baba Yara Sports on Wednesday.